Succulent young leaves of Sheep Sorrel plant, Rumex acetosella, are eaten raw in salad or dried and used as a tea. An ingredient of the Essiac anticancer formula. 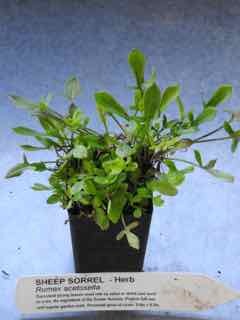 Sheep Sorrel plant is native to Europe and Asia and prefers full sun and regular garden soils. Drought and frost resistant. A perennial ground cover, growing to 0.6m x 0.3m. Also see Rene’s Classic Tea. Be the first to review “Sorrel, Sheep plant” Click here to cancel reply.